Welcome NEW FORUM MODERATORS: Mela Bala, Mandabplus3, Kerileanne99, and Kmum! - . :Early Learning Community:. BrillKids Forum > BrillKids Announcements > Welcome NEW FORUM MODERATORS: Mela Bala, Mandabplus3, Kerileanne99, and Kmum! Welcome NEW FORUM MODERATORS: Mela Bala, Mandabplus3, Kerileanne99, and Kmum! I would like to formally announce that we have just promoted four of our fellow forumers to GLOBAL MODERATORS! They have been four of the most active members, and all are very consistent contributors to our discussions and file downloads area as well. Our fabulous four are excellent sources for information about early education, and they won't hesitate to help out fellow members who have questions. As global moderators, they will now be able to help all of you if you have questions pertaining to general information about early learning, our learning systems, and most specifically, how to navigate our website and forum community (including threads and boards.) They will also lend us assistance in maintaining our large online community's (and we're still growing!) cleanliness and order. If you have any questions regarding the posts and threads in anywhere in the BrillKids forum, please don't hesitate to ask them - I'm sure they'll be more than willing to help. Let's all congratulate and welcome our new moderators! Re: Welcome our NEW FORUM MODERATORS: Mela Bala, Mandabplus3, and Kerileanne99! Congratulations! It is wonderful to have you join the Team. Thank you for all contributions so far and agreeing to be a part in making our community safe and inspiring environment for every parent! I have noticed it already and yes, they really are the right people to be moderators. Congratulations Manda, Keri and Melanie! 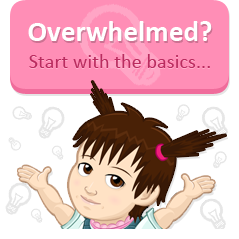 You are awesome in giving helpful tips and encouraging ideas to parents in this forum! You all deserve the title! Congrats, ladies. You are a wealth of information, all three of you. Hey no one said anything about cleaning when I signed up for this job!!! I truly do get as much out of this forum as I put back in, so thank you all for your comments, even your questions make me think and process through my ideas. I've learned a lot from all of you ladies. Congrats! We need you so much here in the forum. Amanda, Melanie and Keri, thank you all for agreeing to take up the role! Much appreciated! So glad to have you ladies on board. A warm welcome to you all! Re: Welcome NEW FORUM MODERATORS: Mela Bala, Mandabplus3, Kerileanne99, and Kmum! Kindly welcome Kmum as part of our new moderating team as well! Congratulations, guys! Every Brillrents dream!